Home / DansBagz / B446 – Bling It Dance! 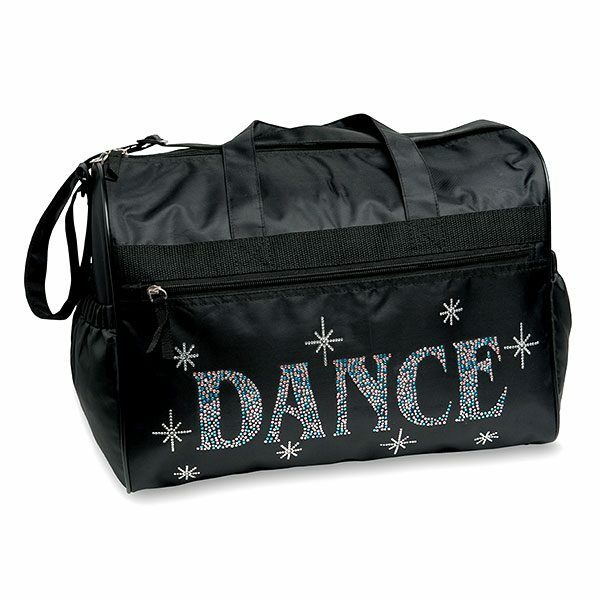 Features: Durable nylon dance bag spells DANCE with over one thousand colorful rhinestones. Full front length zipper pocket, elastic pocket on each side. Main zippered inside compartment features four pockets. Adjustable shoulder strap.